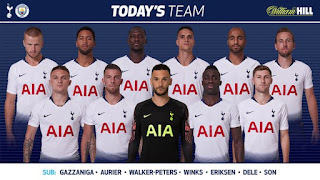 #THFC: Lloris (C), Trippier, Alderweireld, Sanchez, Davies, Dier, Dembele, Sissoko, Lamela, Lucas, Kane. Tottenham Hotspur will host Manchester City at the Wembley of this night. 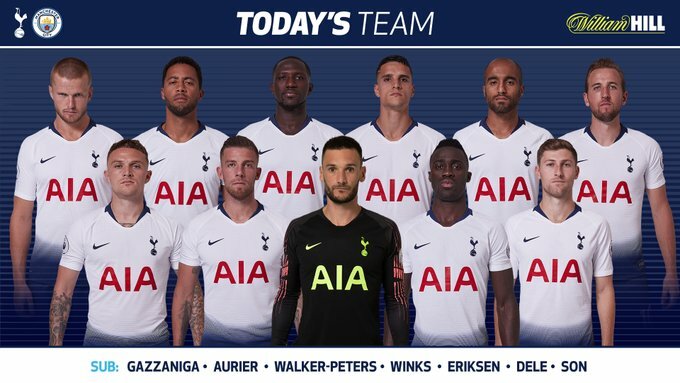 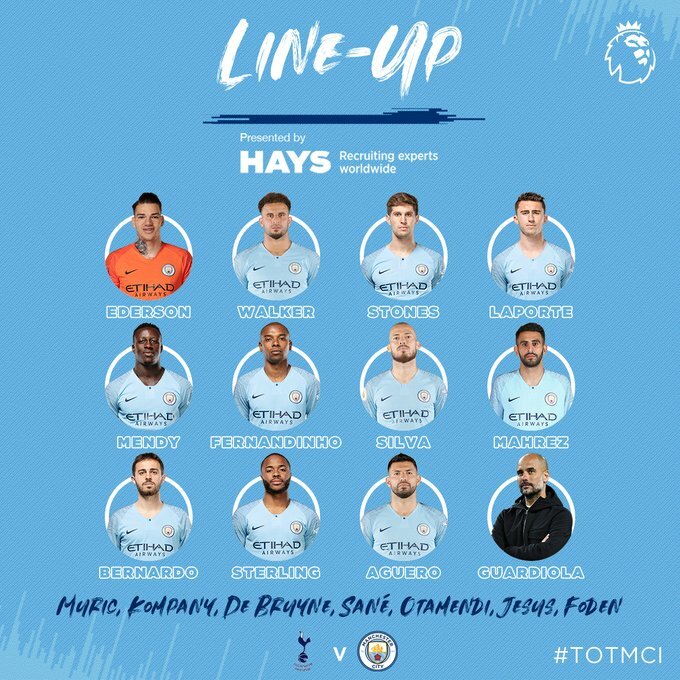 Dele Alli has returned from injury, but only makes the bench, as Hugo Lloris starts.